We are delighted to announce that Dr. Mohammed Hassan has been awarded the Young Investigator Research Program grant from the Air Force Office of Scientific Research. 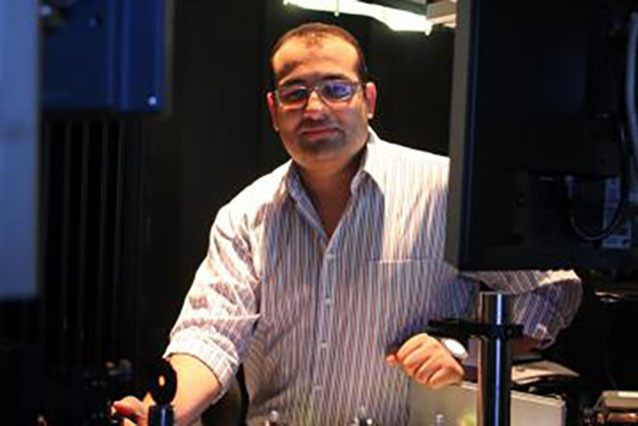 Of over 290 proposals, Dr. Hassan's was selected for his anticipated research in Imaging the Ultrafast Dynamics in 2D Graphene. The AFOSR awarded close to $13.9 million in grants this year. This amount was split between 31 scientists/ engineers from 24 different universities and businesses around the country. Dr. Hassan's fantastic achievement puts the University of Arizona among the top schools in the nation which have received the YIP award this year. It is also worth noting that Dr. Hassan was the only recipient of this award in the entire state of Arizona.